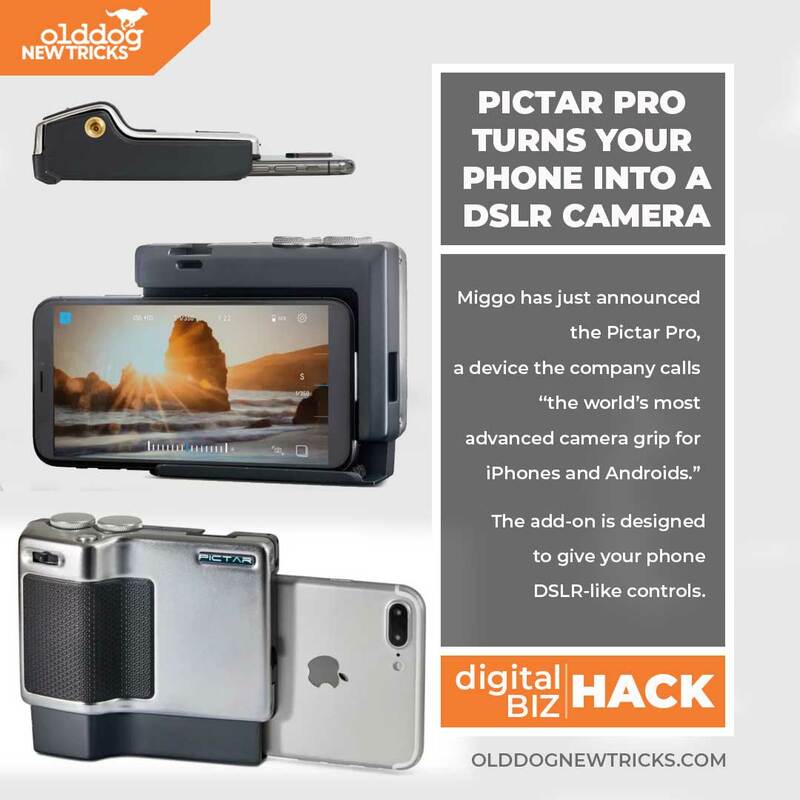 Miggo has just announced the Pictar Pro, a device the company calls “the world’s most advanced camera grip for iPhones and Androids.” The add-on is designed to give your phone DSLR-like controls. The satin-finish brass-body device features four larger control wheels and buttons for one-hand and one-touch use. 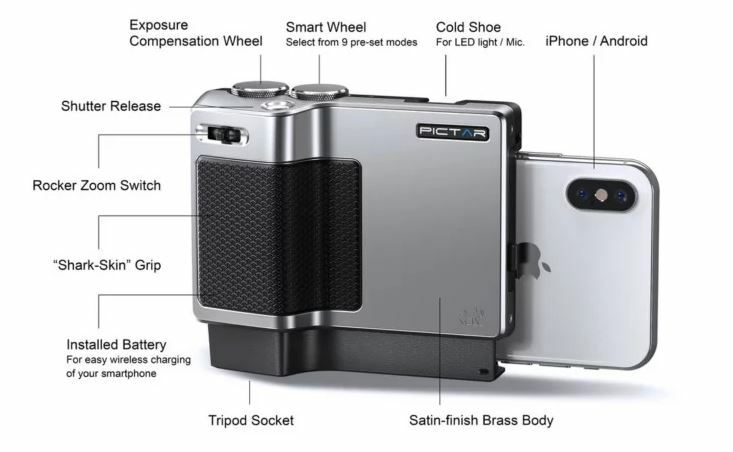 There’s an exposure compensation wheel, a multi-state shutter release, a rocker zoom switch, and a smart wheel (for selecting one of 9 shooting modes). Slide your phone into the grip, load up the app, and you’re ready to go. Built-in Qi wireless charging allows the grip to keep your smartphone juiced during long days of shooting.